To provide quality services, and support in the recruitment of qualified individuals, providing training opportunities to ensure development for all employees, promoting positive employee relations, coordinating and educating employees on benefits, and promoting a safe work environment beyond the expectations of all employees enabling them to better serve the citizens of the City of Murray. Benefits for full-time employees include retirement, health insurance, life insurance, vacation leave, sick leave, personal leave, paid holidays and wellness checks. 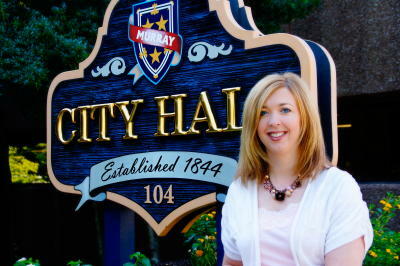 The City of Murray has approximately 178 full time employees. Most of the departments are service oriented in that they provide assistance to the public on a daily basis. That assistance may range from educating a citizen on how to prevent ID theft to explaining the new utility tap application process. City of Murray staff works with community and education leaders to increase the public awareness of matters of safety and promote knowledge of the services that are provided by the City of Murray. 1. You must be a high school graduate or have obtained your G.E.D. Additional educational requirements will vary with the level of technical knowledge required and with the degree of responsibility. 2. Minimum age for employment with the Utility Division is 18, and the minimum age to be a police officer or fire fighter is 21. Experience Employment with the City of Murray!